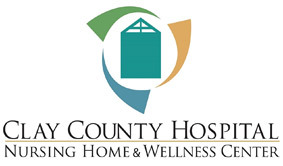 Clay County Hospital was established as a non-profit and governmental general acute care hospital that first opened on September 3, 1951 as a 20-bed facility under the funding of the Hill-Burton Act and Appalachian funding. In the 1960's, 15 beds were added, and in 1976, a 4-bed CCU unit and additional beds brought the facility to 53-licensed beds. During the 1980's the hospital reorganized as a healthcare authority and incorporated. It is now known as Clay County Healthcare Authority. In 1995 the Out Patient- Same Day Surgery wing was added including new outpatient rooms, new areas for computerized tomography, ultrasound, mammography and later included nuclear medicine. The second floor was built including new administrative offices and hospice offices in 1998. The Clay County Nursing Home was opened in 1966. There was an addition to bed size in 1977 and a wing was added bringing the total of licensed beds to 83 in 1997. Most recently the nursing home rehabilitation service has been named "Victory Lane Rehab" and the 20-bed Unit 2 has been named "Memory Lane." The Health and Wellness Center opened in 2006. The Health and Wellness Center features an exercise area, in-door pool, track, gym, classrooms, Physical Therapy Department and Durable Medical Equipment store. There are four active staff physicians on staff including a general surgeon and many courtesy staff physicians. The hospital employed less than 30 staff during the early years compared to 275 employees today including the nursing home and wellness center employees. In September, 2016, the Health Care Authority celebrated the Clay County Nursing Home's 50th year since opening in 1966. The Hospital, opening in 1951, will celebrate 65 years of operation and the Wellness Center will celebrate 10 years.